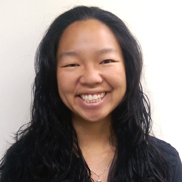 Mary was born and raised in Southern California and graduated from UC Santa Cruz with a B.S. degree in molecular cellular and developmental biology. She earned her Doctorate of Physical Therapy degree from the University of Southern California (USC). Volunteering gave her insight into physical therapy and she has developed an interest in orthopedics, particularly spinal patients, as well as Integrative Manual Therapy. Mary’s goal with patients are to provide the most effective treatment so they get the biggest bang for their buck. She also helps to run the WorkSTEPS program, ensuring that workers and jobs match up to prevent workplace injuries for companies and organizations. She speaks some French and Spanish. Her hobbies include surfing, running, and a whole assortment of outdoor sports.